Do Positive Input Systems, like the Nuaire Drimaster, actually work? Well. As I keep saying, I am not an expert. All I can say, is everyone is different; every house is different; every problem is different. In my personal opinion, you need to control condensation with other methods too to give it a chance, and in my personal view – YES – the Nuaire Drimaster PIV work for me – does what it suggest. Looking at the Amazon reviews other people are also positive about them. In fact, you have to go a long way to find negative reviews. So I’m happy to say, yes, the PIV systems works. HOWEVER – if you have a leaking roof; large sources of moisture in the house and don’t take other steps to prevent condensation – then don’t expect it to work! How does a PIV system work? I’m not an expert, but here is my understanding in simple terms. Mould and condensation is caused by moisture in the air condensating on cold surfaces. The moisture is from anything, cooking, showers, drying clothes, and most importantly breathing. So pretty much, not much you can do about the latter. A PIV system causes dry air to be pushed into the property. This causes air movement and due to the slight increase in pressure, other air gets pushed out. As the air coming in is from a dry source, by definition the air getting pushed out is the moist air. So, simply, it slowly pushes moist air out of the property and as such the remaining air is dryer and less prone to condensate. Sounds simple. Sounds like a load of tosh. Sounds like snake-oil. Do your research and decide yourself. Had a Nuaire PIV system just over 1 year ago – still NOT Convinced !! on the Bedroom windows on cold nights – and the landing where the unit is located is constantly cold even though it is only set on Mark 2. The only benefit I have seen is an improvement in the RH (Relative Humidity) WHICH HAS REDUCED SIGNIFICANTLY ! Not often I read negative comments, so surprised to read. May I ask how big your house is? Ours is 2.5 bed and we are on speed setting 4, and with the heater on (I tuned the temperature but can’t recall what). For sure, with an infrared thermometer on the vent, I can see a massive difference when the heater is on vs when it isn’t! Also I can see a big difference in elec usage 🙁 (But the cost is worth it as >5yrs on still see the benefit). With reduction in RH you still get condensation? Odd. Its the RH and temperature difference on cold surfaces that make condensation (dew point). So with lower RH you should be much better off. Our house “adjusted” within days, so 12mths isn’t right. BUT all houses are different. Is it just the windows you get condensation on, or walls? And have you seen the other pages on here on the other measures you need to take? The DriMaster alone isn’t a miracle. e.g. no drying clothes inside the house (or get a separate spin dryer to remove as much water as possible); decent extraction from shower/bathroom and kitchen. (Our bathroom went from water running of the walls to mirror not steaming up – but needed a massive above shower fan). Again, for us, worth it. Also ensure you have “vents” which the moist air the PIV system pushes out can escape – we have chimney vents in bedrooms now. If house is airtight then PIV can’t work. Finally, ,are you sure its condensation and not damp? Is water getting in from other sources? Leaks, rising damp, damp walls, gutters etc – all of that can’t be counteracted by PIV. 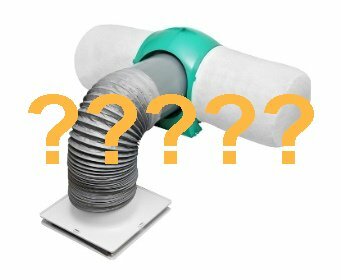 And finally (again lol) – is your loft dry and well vented? I guess if you have a damp roof area you will be blowing in damp air. ll I can say is what I said on this page from day 1 – doing lots of little changes and then the PIV and we have gone from condensated walls, ceilings and windows with mould appearing behind things, to not even worrying. Hope something above, or on the “other condensation control” page may help.